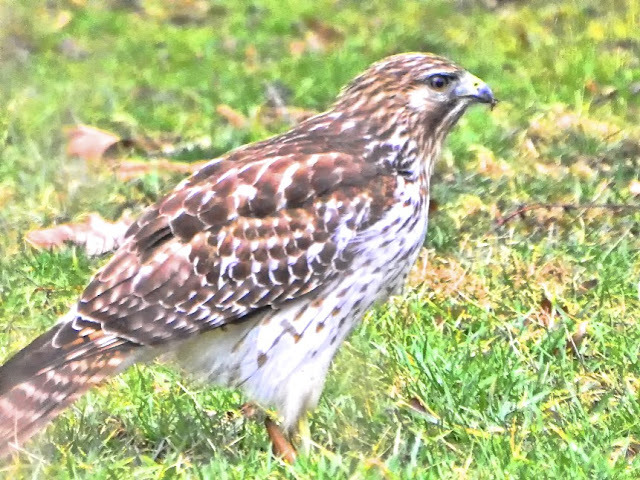 As many of you know, this guy (Cooper's Hawk) comes around sporadically looking for a meal. Lately though, I haven't noticed him being very successful. Mostly, he's just been coming in and watching. But the other day, he did this! A smorgasboard of delicacies surround you and you eat a worm!! I know. None of my business. But really, Mr. Cooper! Not classy. Not classy at all! Remember my shot the other day (here) of the multiple exposure of the pelicans? Well, jennyfreckles over at Saltaire Daily had the answer. Apparently my Nikon D7000 has a function for multiple exposures ... up to 3 photos! Who knew? Not me. Duh! More interesting fact is that how did it do that when I didn't set the setting. Guess we'll never know but at least there is the opportunity to do this again! Great comments yesterday my friends. I loved hearing all your thoughts! what a gorgeous bird !! and you know what, i think sometimes our cameras get bored with us and they have a mind of their own as mine occasionally does something i didn't intend for it to do and i'm like "whaaat"
Hmmm...sounds like someone needs to read their manual. I tell my wife this often to no avail. I wonder if my D80 has that feature. I suppose I could read my manual and find out. Such a beautiful bird and like Brian wrote, fast food, a bird McDonalds!! Isn't it cool to learn something new about our cameras!! I have lot to learn, but I do love it. Hope your week is going well, Reena! I had a Common Kestrel that used to do that, it was being either it was too young, or it needed something to eat, and a worm just about solves it. Lovely photos Reena. Indignity behanged, when one's tummy is growling. How cool that you were there with camera in hand to capture it. Lovely boy.We all get hungry, and if it means eating the odd worm....so be it! Oh, what a cool feature to have on a camera - can't wait to see what you come up with when you TRY. What's wrong with eating your dessert first? Love your bird photos. Take care. I really need to get the book out on my camera and read to see what it does. I loved that shot of your pelican in motion. With regard to camera settings, I often click on setting on my camera accidentally without realising. It takes me ages to find out how to unset them. Recently I got my camera in black and white mode by mistake!!! As other have commented - a little fast food doesn't hurt. 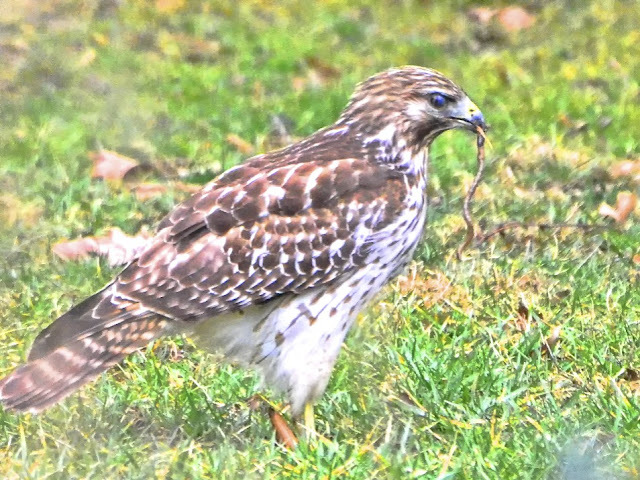 So funny, a hawk eating a worm!!! But the poor bird must be starving to have to resort to this...and your pictures are WONDERFUL!!! Hawk close ups like this are rare!! Glad to know about your camera, what a COOL feature, wish mine had it! Oh, I LOVE the title of this post! I love your hawk shots, you get some incredible captures . . . and eating a worm too. 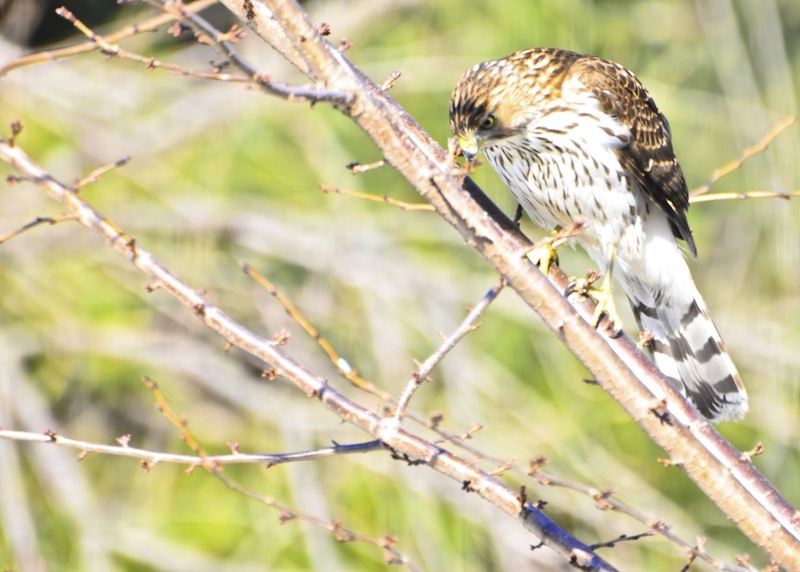 I was driving the other day and saw a Cooper's Hawk dive down to the median and grab something - most likely, a mouse. Glad I was moving to fast to watch it. I know it's nature and all that, but I hate to see any living thing eaten! Wow, what great captures! 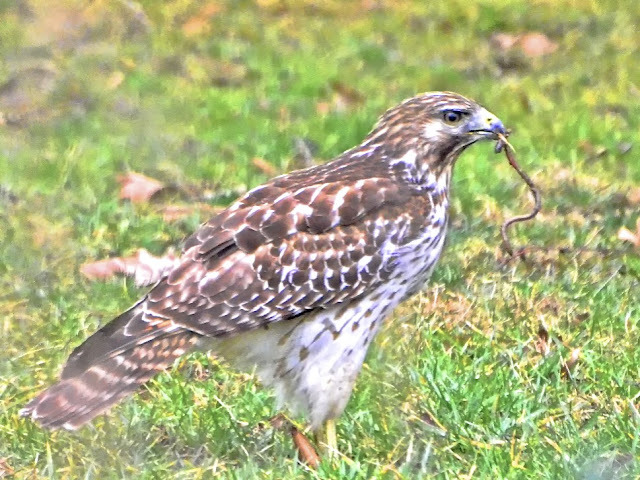 I never seen a hawk with a worm. Cheetos, Doritos, Lays chips, wiggle worm... hmm, all the same I guess. 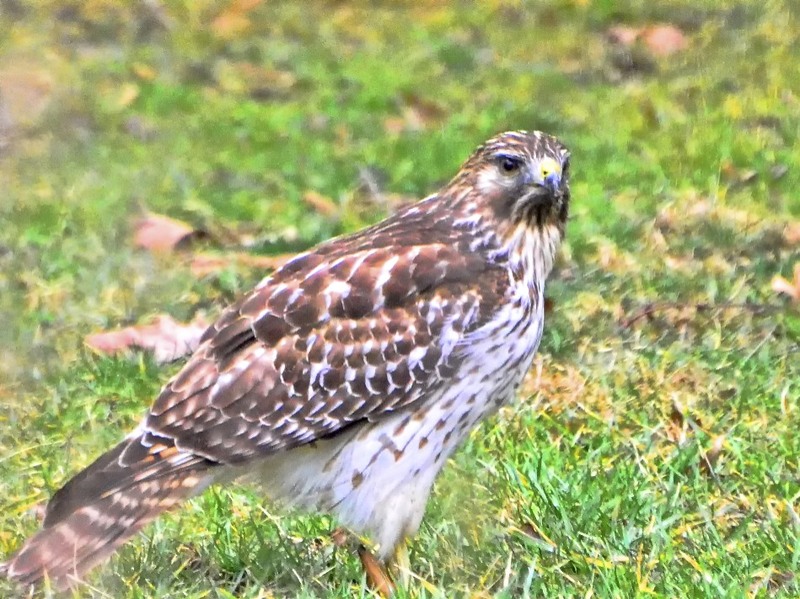 a hawk on a diet? I'm sure my camera has several features I haven't discovered yet. What a happy "accident" that pelican shot was! Who knew they ate worms? Maybe he just wanted a quick take out meal! Thank you for your update regarding the multiple exposure. I do not think there is something similar in my Canon. Your result is a surprise to you, but I bet the worm was not, as to the bird. but great shots, what a treat to see him so "up close and personal"
Sometimes there's no explanation - pleased there was for your amazing image though. Very unclassly behaviour but I suppose any port in a storm will do. Bad luck to get caught by the papparazzi! You must remember that this is a juvenile Cooper's so he or she might not be that good of a hunter... yet. Nice shots of the hawk. What is even more interesting about the pelican shot is that you seemed to have managed to turn the multiple pictures setting off as well! She looks like she's saying," don't knock it till you've tried it!" Cameras, like cars, were made to drive us crazy! GREAT series! Never knew a hawk would eat worms. Such a great series of shots! What a beautiful looking bird as well. It's almost time for the birds to start coming back to a local sanctuary here, so I look forward to the opportunity for some great shots! I went and clicked on that pelican shot...amazing! What a fortuitous accident. Hopefully you have figured out how to do it on purpose...but if not, you can pretty much always find camera directions to a specific model on line. Everything good for you Reena, is my wish!!! haha! That is great, Reena! I had to laugh! Fantastic shots! He must have been the early bird? LOL, I guess when times are tough, ya gotta do what ya gotta do to survive! That looks like a rather desperate hawk. Or maybe he just has a taste for worm. Maybe it's like people eating snails. yes, very common. ha ha. Love your sense of humor... but I don't think HE does.